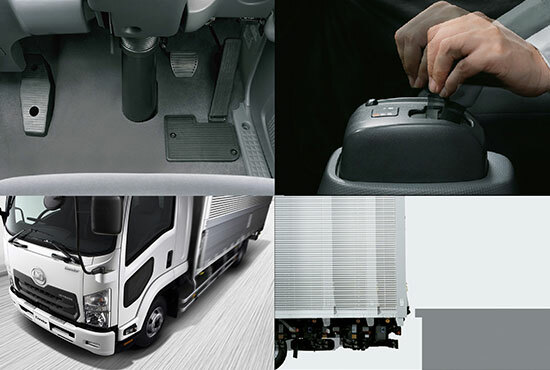 Powerful running and excellent fuel consumption were realized by efficiently transmitting power by lock-up control and other features. 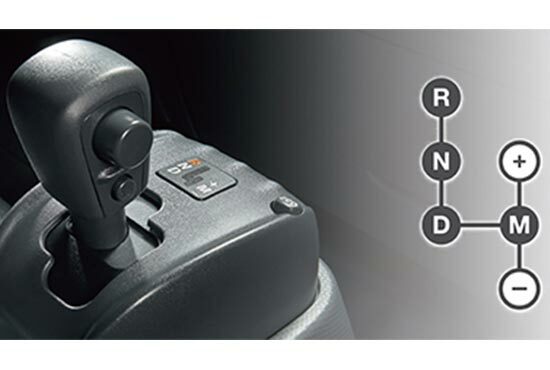 AMT (automatic mechanical transmission) offers drivers comfortable operability by enabling them to shift gears with a single operation of the lever. It reduces running costs, and additionally contributes to the reduction of storage time and improves the operation rate. 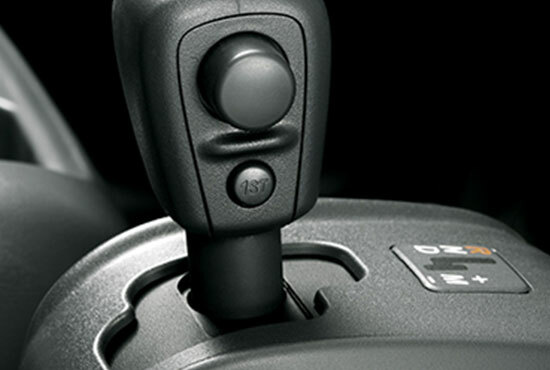 Starting in the 1st gear can be done by switching the gear shift (normally the vehicle starts in 2nd gear). This enables more power for when starting on a slope when loaded etc. 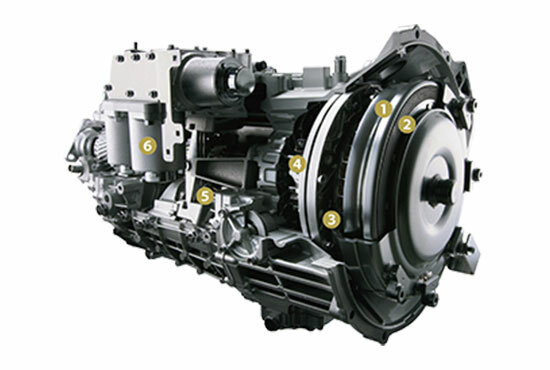 MT (six speed manual transmission) with a clutch pedal which provides high reliability and durability is also available. No clutch operation is needed. Also gear shifting between manual and auto is stress free and easy.